In 2015, Netflix and Marvel launched its first two series set in the gritty, dark side of the Marvel Cinematic Universe. 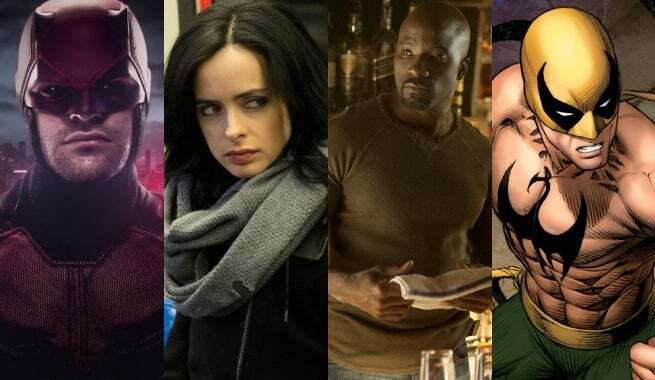 While Daredevil was the spearhead, it was Jessica Jones that did the most to lay down the groundwork on which the Defenders crossover series will be built…or at least that’s how it seems at present. We can only construct theories right now, but there are certain element of Jessica Jones that seem specifically intended to help build the world for future Defenders series. One element is the anti-superhuman sentiment that popped up a few times during the series, most notably when a woman attempted to murder Jessica simply for being a powered person. This subplot seemed a bit out of place in the season, but it may be foreshadowing Captain America: Civil War. Sewing this thread into Jessica Jones shows that this sentiment exists prior to the creation of the Sokovia Accords, and may play out in Luke Cage, which will debut in a post-Civil War MCU. From Jessica Jones, we know that Luke is not fond of police, but that may simply be because of his ex-convict past. As of Civil War, someone like Luke Cage would likely be expected to register with the government. If Luke Cage of the MCU is anything like his comic book counterpart, this is not an idea he will be fond of, which may explain why he’s a fugitive by the time his series starts, a situation foreshadowed by the attempt on Jessica’s life in Jessica Jones. The second major thread that seems set to be picked up on in Defenders is the existence of the mysterious company called IGH. While there’s no organization named IGH in the Marvel Comics Universe (at least not that I know of), there is a substance called MGH, short for Mutant Growth Hormone. MGH factors majorly into Alias, the comic book that Jessica Jones is based on. We know that mutants can’t appear in or have anything to do with Marvel Cinematic Universe projects, and that the Inhumans have been filling that void. Perhaps that will be the case here as well, and we’ll find that IGH is actually Inhuman Growth Hormone. It’s true that Inhuman Growth Hormone is more of a product name than a company name, but when you’re as hard to track down as Trish Walker implied this company was, you can pretty much do whatever you want. We know that IGH paid off Jessica’s medical bills after the accident that killed her family, implying that they may have had something to do with how she got her powers. Perhaps they injected her with IGH while she was in the hospital. That brings up the question of how IGH even existed when Jessica was still so young, when Inhumans have only been revealed to the world at large within the last few years. The answers lies in recent revelations from Marvel's Agents of S.H.I.E.L.D.We had been led to believe that the Inhumans had kept themselves secret for generations, but we now know that Hydra has known about them all along, having been created to serve the Inhuman who was exiled through the Monolith. We also know that powerful industrialist Gideon Malick is among the highest ranking member of Hydra, so perhaps IGH is one of his ventures. Even if things don’t tie together quite so neatly as to include Malick, there’s evidence that the Inhumans were not as good at covering their tracks as we had thought. We know that IGH paid for Jessica’s medical care, and that they’re responsible for the colored pills that drive Will Simpson over the edge, but those aren’t the only people with superpowers. Luke has unbreakable skin, thanks to an experiment. Daredevil lost his sight and gained his special senses thanks to some chemicals that spilled off of the back of a truck into his eyes. Killgrave gained his mind control powers through experiments his parents conducted, which were part of a much larger program. I think there are fair odds we may find out that IGH was the organization behind Luke’s experiments, the chemicals that splashed Matt Murdock’s eyes, and the program that Killgrave’s parents were involved with, and that IGH may be the “big bad” of the Defenders series when the time comes. After all, Simpson is sure to return as the villain Nuke at some point, right? In the post-Civil War era, super-powered people will be under more scrutiny than ever, giving them more motivation than ever before to investigate the mysterious incidents that gave them powers in the first place. When it becomes clear that shady corporation IGH is at the root, Daredevil, Jessica Jones, Luke Cage, and the Iron Fist – connected via business associations of RandCorp and a shared friend in Jeri Hogarth – come together to take up the fight as the Defenders. Will that end up being the case? Time will tell, but it seems to me to be the track they’ve been set on.